Life's Little Moments - December has a rustic theme. 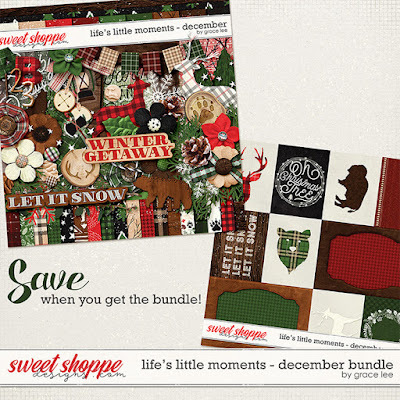 With traditional tones of red, green and brown, lots of plaids, felt and wood accents, this kit evokes the homey feelings of snuggling in front of the fireplace in a cozy log cabin. Great for not only winter layouts, but can be used for Christmas and other holiday photos as well.